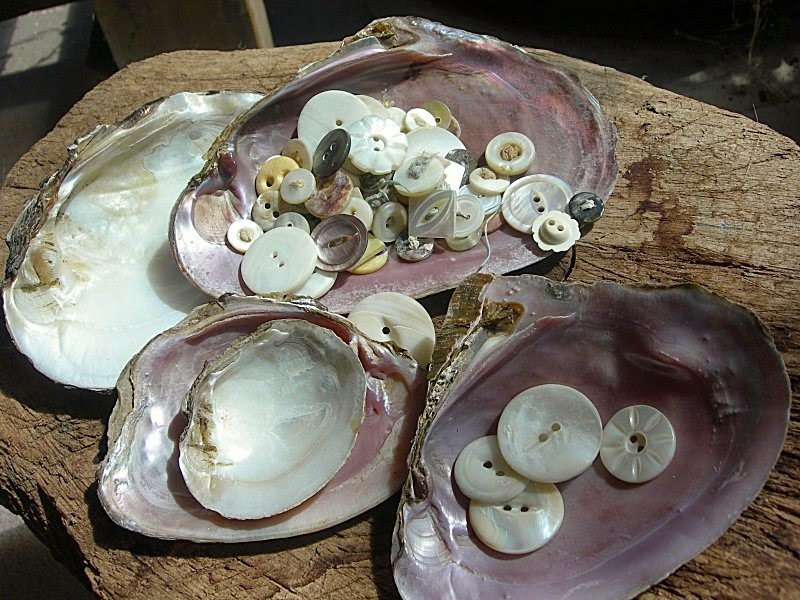 ...and old buttons made from the same type of shell. ranging to opalescent dusty pink. 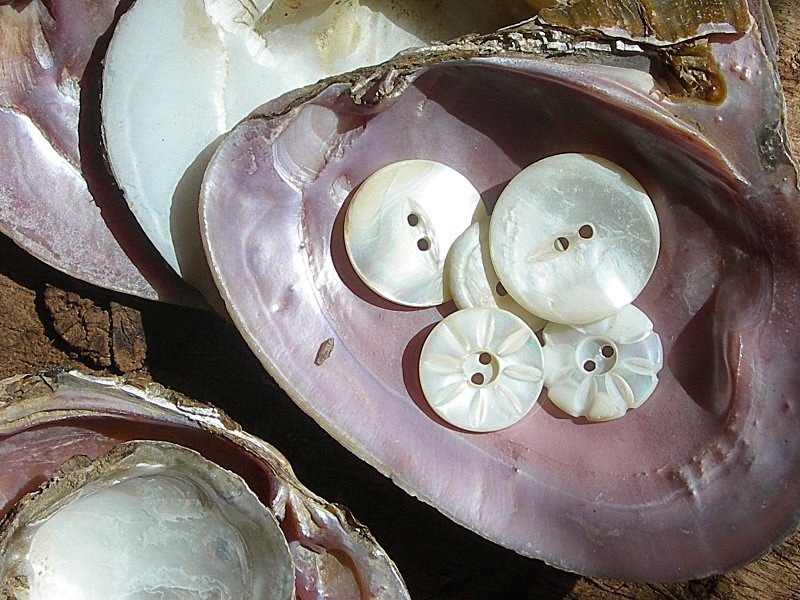 Freshwater mussel shells were used in the U.S. from the 1800's to produce millions and millions of buttons, as well as cutlery handles, inlay and other products. (Before that, I guess the shells were mostly used as tools by indigenous North Americans.) But by the 1930's, over-harvesting, decline in mussel habitat, and eventually, alternative technology and materials put an end to the river-based shell industries all along the Mississippi and other eastern waterways. 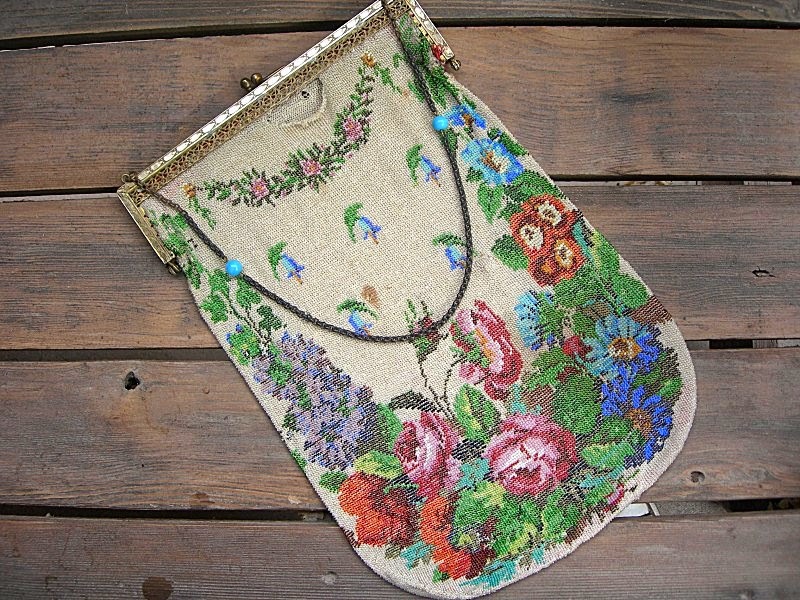 This vintage bead crochet purse is huge! 8" wide and 12" tall. 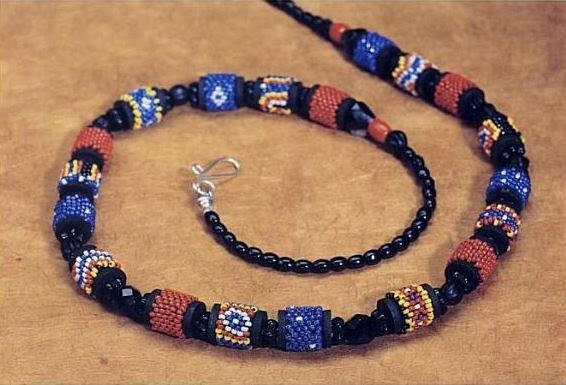 The beads are SO tiny, I would estimate they're about size 16-0.
then string them onto larger strands of beads. 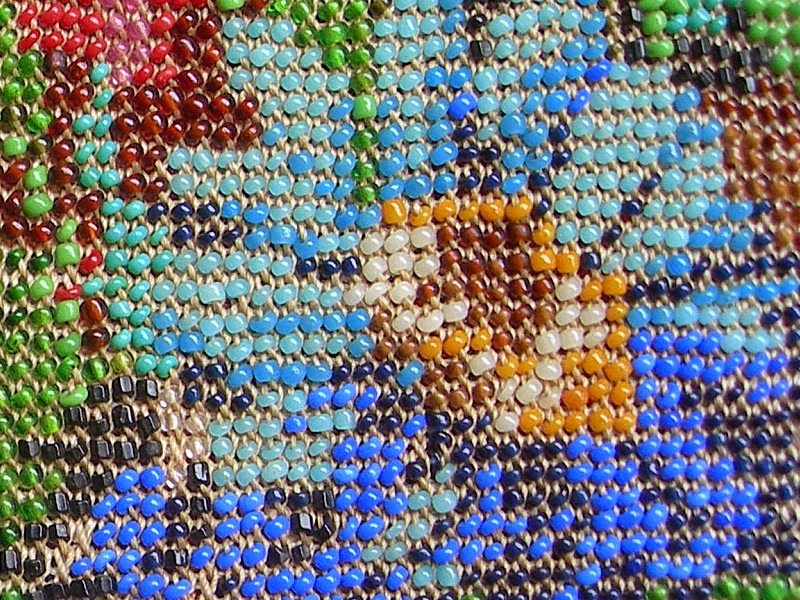 for Jean Campbell's The Art of Beaded Beads. 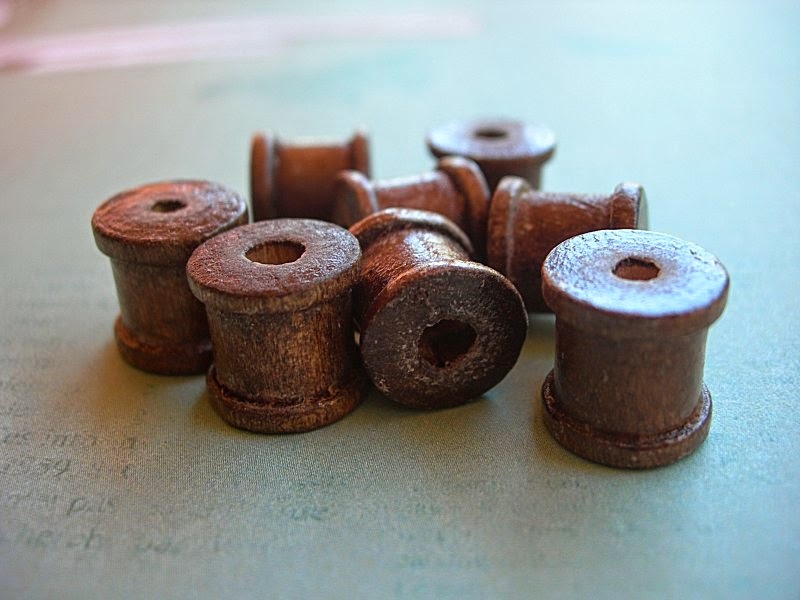 Basically, you can use tubular peyote stitch and sew a tube around the spool. Or you can create a swatch of flat peyote stitch, then zip it up around the tube.